'Providing funds and autonomy to a few institutions that may not have the intent to excel must not become a case of trying to feed those who are not hungry and starving those who are famished,' says Jitendra Kumar Das, Director, FORE School of Management, New Delhi. Recently, Prakash Javadekar, the Union minister of human resource development, announced at a media briefing that the University Grants Commission had decided to grant autonomy to 60 educational institutions, including a few private institutions, across the country. It would be pertinent to recollect here that in the 1960s the IIMs and IITs were created outside the Indian university system to allow them freedom and autonomy, which was not quite possible under the university system at that time. Rather than reform the university system, the then government created these independent institutions, giving them full autonomy by keeping them away from any higher education regulator. And so, reform of the university system was by-passed. Here, 'autonomy' would mean more freedom for institutes to start their own courses, create new syllabi, launch new research programmes, hire foreign faculty, enroll foreign students and set fees. This in effect would mean no (or negligible) dependence on the regulator to start various academic initiatives, including decisions on fees. Autonomy must also be closely linked with accountability, lest it degenerates into non-performance, particularly for public institutions. Thus, accountability must be defined in performance metrics to ensure that the obligations of these institutions are not ignored. Even though many academics from public universities vehemently opposed this move -- reflecting their concerns with accountability issues -- this initiative, otherwise, is an apt move to liberate the higher education sector. Both public as well as private institutions stand to gain in the long term. Such autonomy should also be extended to other institutions that meet the criteria, to ensure positive and constructive change at the all-India level. The government should take further pro-active steps to encourage participation of quality private sector players in strengthening higher education. It must also be understood that it was because of the vacuum left by the State that non-profit private educational institutions stepped in to meet the ever-growing demand for higher education. It was these private institutions that invested significantly, making quality education accessible to a larger mass of people -- fulfilling not just a need gap but contributing to nation-building as well. However, the private education institutions were heavily regulated and under the control of government agencies for various permissions, leading to many reported malpractices and corruption cases. Despite limited autonomy, a few private sector institutions have performed extremely well. Private education institutions must be looked at as complementary, not competing forces. Establishing new universities that are progressive, innovative, and quick to adapt to a changing world needs careful planning and an understanding of the weaknesses of the current system. Ironically, policy interventions to draw in the private sector to deliver quality higher education are not even at the discussion stage in India, let alone planning. With or without private sector involvement, India needs to modernise its higher education by following the examples of the United States, South Korea, Singapore and even China. 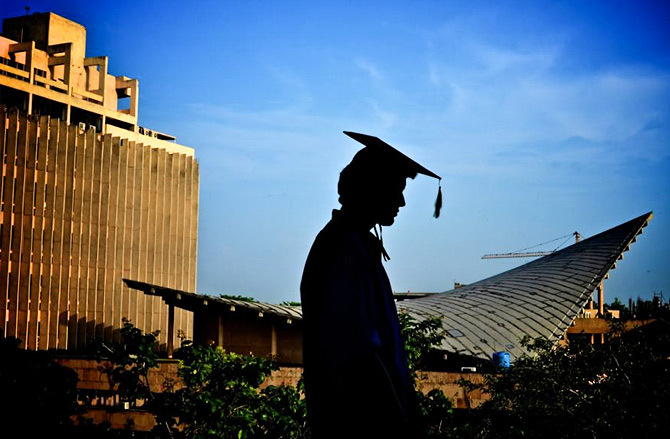 It is ironical that when higher education is a peripheral activity, going by its budget allocation as a proportion of GDP, the government wants to give autonomy, but when it becomes an important activity with substantial grants, the tendency is to take away autonomy and not leave things in the hands of educators. The regulator and the government become active in monitoring expenditures, decision making and even framing policy. This typically reflects the current Indian system. Quality education can come in only as a 'pull' mechanism and cannot be 'pushed', for faculty cannot be forced to deliver quality. A comparison and contrast between private and public institutions would help us develop a framework of regulation that aims to catapult higher education quality to the next level in an India perspective rather than from a government institution perspective. Higher education policy should be framed in such a way that its implementation pushes institutions towards ever-improving quality through steady incremental improvement. This is only possible if there is a robust feedback-based transparent system with adequate capital and high-calibre or research-oriented faculty recruited on a 'perform or perish' model. Further, considering the role private institutions/universities must play, government may incentivise fund flow from the private sector. Any bureaucratic red tape in the administration of academia will further hamper the competitive urge to excel in Indian higher education institutions. As more bureaucratic hurdles are put in place, private players will become cautious in their investments and involvement. If criteria-based autonomy is uniformly provided to public and private institutions, there is no doubt that in a few years public institutions may face tough competition from private institutions, primarily due to differences in the efficiency of their service delivery. Providing funds and autonomy to a select few institutions that may not have the intent to excel must not become a case of trying to feed those who are not hungry and starving those who are famished.